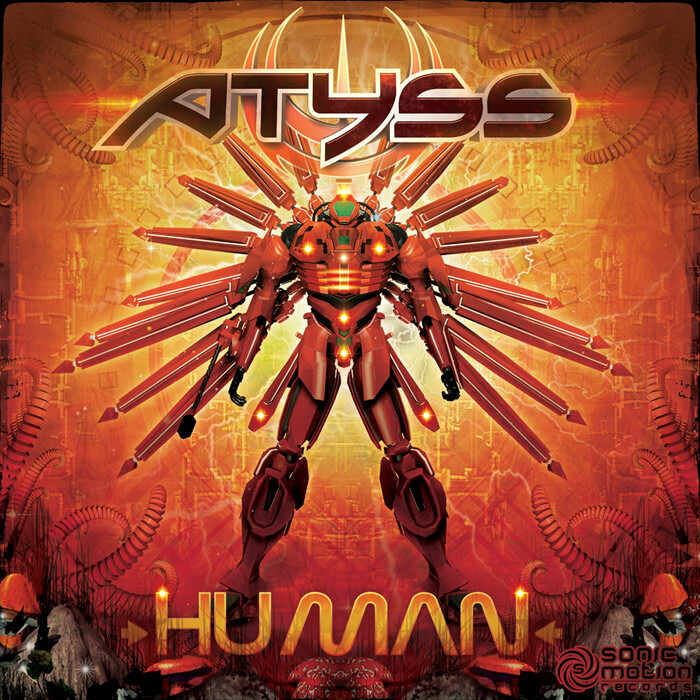 Atyss - Human - EP - Sonic Motion - Out now !! The first track, Human, is a nighttime stomper written by Atyss with his signature tense and melodic style. The second tittle 3P Motion, is a collaboration track with Josh aka Outer Signal bringing his usual heaviness and psychedelia, Atyss with his hi-tech production skills and finally Yurika weaving the whole together with her melodic aftertouch. The Sonic Motion crew once again will take you into shadowy unknowns, delivering the usual rolling basslines, catchy hooks and deep textures, with every artist weaving his and her signature styles into these powerful musical stories. There is more to come so stay tuned and see you on the dancefloor!